The Battle of Algiers (La battaglia di Algeri) is not only a cinematic masterpiece, but also a look back at history that asks us to look at the world today. Directed by Gillo Pontecorvo and scored by the illustrious Ennio Morricone, the film provides a hyper-realistic and dynamic perspective of the French occupation of Algeria in the 1950s. Pontecorvo’s masterful mise-en-scène and graceful cinematic techniques are as revolutionary as the story they tell. On the surface, The Battle of Algiers is a historical war film. However, Pontecorvo does not use war as a vehicle to excite and entertain the audience. 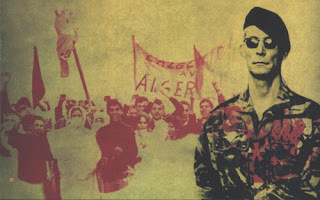 War is merely the historical world in which The Battle of Algiers is situated, and it is a means of exposing the truth. 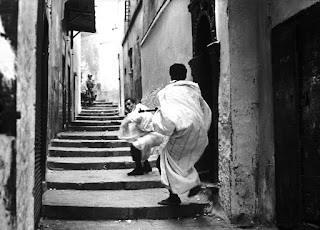 The Battle of Algiers is violent and messy, yet it is thoughtful and beautifully produced. Although the events portrayed and sensitive subject matter of the film are often difficult to endure, The Battle of Algiers is a powerful story and a crowning achievement of Italian cinema. History is more complex than most war movies communicate to viewers. News media, politicians, and Hollywood war movies often lead us to believe that there is a clear-cut line between enemy and compatriot, antagonist and protagonist. However, The Battle of Algiers demonstrates that in real life this line is not always as clear and visible as a Hollywood film. The Battle of Algiers takes place in Algeria of the 1950s. During that time, the French had occupied Algeria for several decades. Despite the French colonials’ belief that their claim to Algeria had solidified, the Arabic Algerians began to feel imprisoned and oppressed by the French occupation of their country. The Algerian Front de Liberation Nationale (FLN) formed in response to this oppression. While the FLN was a relatively small and radicalized group of freedom fighters, eventually the Algerian people as a whole began to resist the French occupation of Algeria. Helpless and without power, the FLN began taking extremely violent and brutal measures to obtain independence from France. Today, these measures would quickly be reduced to and labeled as terrorism. However, rather than automatically condemning the actions of individuals seeking freedom from oppression, The Battle of Algiers does not utilize the dismissive rhetorical device to explain the events that took place in Algeria. Instead, Pontecorvo situates the viewer within the historical realm of the story, and this enables the audience to draw their own impressions and conclusions about the events. Pontecorvo does not sympathize or ally with the FLN. His allegiance, in true neorealist fashion, lies with the common people of Algeria. Pontecorvo provides a voice for the voiceless, and he shines a light on a moment in history that the French government attempted to suppress (Virtue). At the center of the FLN is Ali La Pointe, played by Brahim Hadjadj. 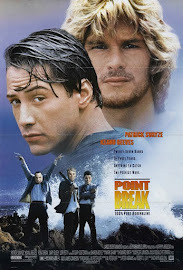 In the beginning of the film, La Pointe is merely an illiterate petty criminal. His intellectual and social statuses have alienated him from society. He is a troubled outsider with nothing to live for and a rebel without a cause. The alienation and unrest he experiences naturally compliment his rebellious nature, and eventually, La Pointe becomes the leader of the FLN. After the first series of devastating bombings perpetrated by the FLN, the French government sends additional military forces to Algeria in an effort to snuff out the FLN and the Algerian uprising. Colonel Mathieu, played by Jean Martin, leads the fight against the FLN. Martin is the only professional actor in the film and, his performance blends naturally with the raw and untrained acting of the amateur cast. At first, it seems as though Colonel Mathieu symbolizes French solidarity, sophistication, and righteousness. However, as the story proceeds, the audience eventually learns that Colonel Mathieu is merely another pawn in a complex game of political unrest. Riddled with uncertainty, Mathieu simply wants to put an end to the mess and go back home. Although Mathieu seems to have pure motives, he proves to be just as violent and brutal as the FLN when he blows up Ali La Pointe and a child toward the end of the film. The Battle of Algiers does not have a clearly defined protagonist and antagonist. While the actions of the FLN are abhorrent and tragic, Colonel Mathieu and the French military do not seek a resolution. They do not consider the demands of the Algerian people and the actions of the FLN critically. Instead, they act in wanton disregard for the Algerian people and merely meet violence with more violence, under the guise of self-proclaimed superiority. Neither Ali La Pointe nor Colonel Mathieu is the protagonist of the film. They are both antagonists that position the Algerian people in the middle of their battle. The Algerian people are the protagonists that eventually win the war and their independence. Conversely, the film does not end with the sense of Hollywood happiness that comes with winning a war. Over a million people died in the Algerian War, and humanity continues to face the same type of conflicts in the modern era (Candela). The Battle of Algiers is one of the most powerful films I have seen in my life. The line between fictional narrative and historical fact is seemingly nonexistent. 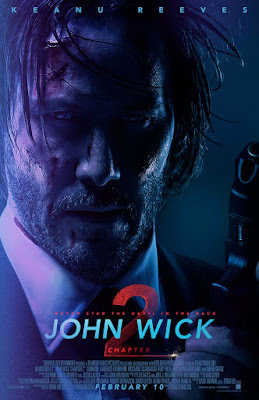 The production techniques, camera framing, use of score, and a variety of other elements through the film are captivating and awe inspiring. 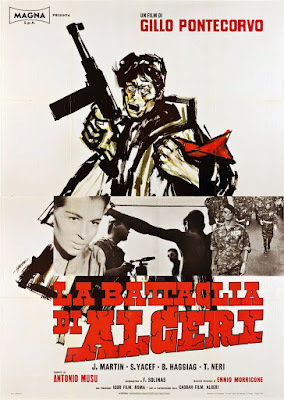 The film is effectively subversive, and as stated by Peter Matthews, “An absolute pinnacle of counter-cinema, a ne plus ultra of a mode that seeks to intervene strategically in the war for social change.” Prior to viewing The Battle of Algiers, I had only heard of Gillo Pontecorvo. Although I am a fan of violent and bloody films, generally speaking, I am often not a fan of films that depict war. Pontecorvo’s film is instantly my favorite war film of all time. The Battle of Algiers is the first war movie that I have seen that forces the audience to, regardless of their stance or political views, question the world of the past and the world of today. Although the use of a war film to take reflective look into the past is not an invention of Pontecorvo’s, his style, filmmaking methods, and choice of historical event transcend the common war movie. Meanwhile, the film does not merely inform the viewer; it pushes the viewer’s perspective to new worlds and cultures. At times, the film utilizes a documentary or newsreel style. 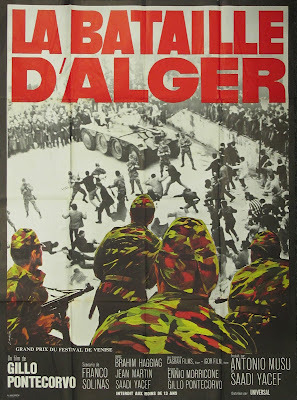 However, The Battle for Algiers is not a documentary. In fact, Pontecorvo was always offended when people referred to his film as a documentary (Virtue 323). Pontecorvo’s frustration with the sentiment is entirely reasonable. To consider The Battle of Algiers a type of fictionalized documentary merely cheapens and degrades the precise and masterful camera direction and mise-en-scène of Pontecorvo. The Battle of Algiers is not a documentary. It is cinema at its finest, and it demonstrates why cinema is one of humanity’s highest forms of art. One of the most powerful techniques Pontecorvo uses in the film is the use of score. Scored by Oscar winner Ennio Morricone and Pontecorvo, the music in the film is graceful and compliments the camera and action. 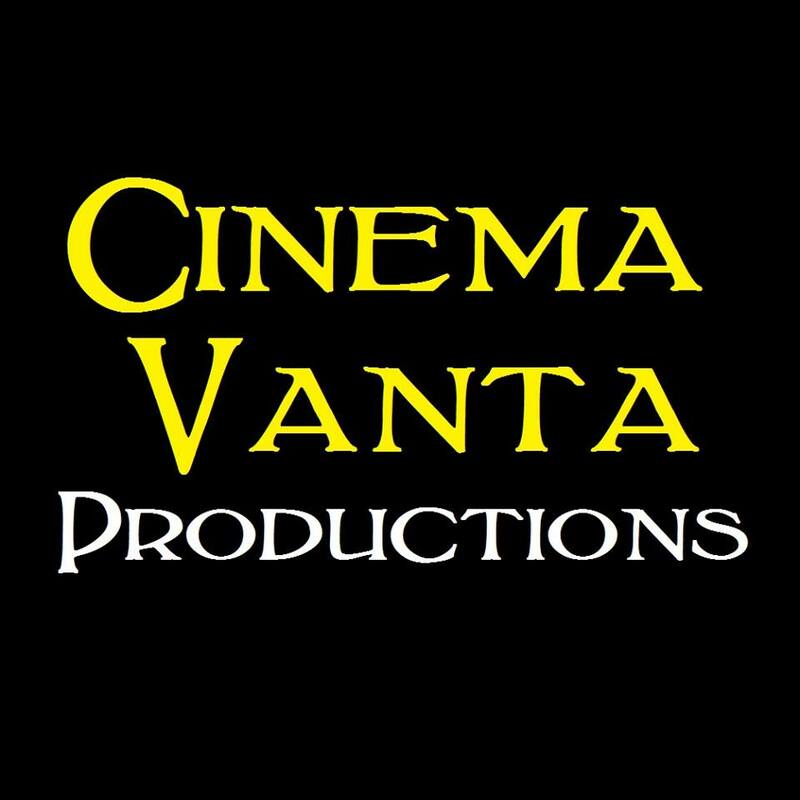 As the “Fin” title card dissolves at the end of the film, a brief composition, highly indicative of Morricone’s musical thumbprint, plays in the background. The audience has learned that after millions of deaths and years of war, the Algerians won their independence. In this moment, Morricone’s score sends shivers down the spine. The score acts as a vessel for easing the audience out of the narrative in silent reflection. While I am admittedly fond of violent films, The Battle of Algiers leaves me questioning both the modern day conventions of depicting violence and the current state of international affairs. Americans love violent films, and I am no exception. My favorite films are violent, and their purpose for cinematic violence is often merely for entertainment. After viewing The Battle of Algiers, it is never more apparent that fictional depictions of violence have meaning and purpose. The modern world is a wonderful place to be depending on where an individual lives. However, billions of people struggle to survive, and senseless violence is committed against innocent people every day. Western civilization has learned very little from the Algerian War. The American military prominently remains in several countries throughout the world. The news media and politicians tell the American people that their military is spreading freedom, democracy, and a better way of life to foreign countries. However, The Battle of Algiers shows the viewer that France claimed to have similar motives in Algeria, and those motives resulted in war and death. Gillo Pontecorvo’s The Battle of Algiers is a beautifully made film. Throughout the entire film, Pontecorvo remains sensitive to both the history he attempts to tell and the viewers that watch his film. He does not seek to alienate the audience from his film. Instead, Pontecorvo shoves the audience into the middle of the action. The Battle of Algiers urges the viewer to look at the modern day world critically and seriously considered the ramifications of our politics and international policies. Language and Literature Building, Tempe, AZ. 25 Nov. 2015. Lecture.